SanMig Mobile? Mahaba-habang kuwentuhan ito. 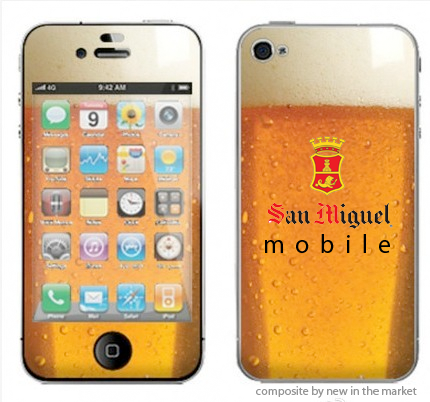 Are we ready for another mobile telecommunications company like San Miguel? Do we really need another one? Would they be better than the current competition? These questions and more seems to be all yes for San Miguel as it informed the Philippine Stock Exchange of its intention to go against mobile phone giants Smart Communications and Globe Communications. San Miguel seems to know something that the other wireless giants don’t and the company is banking on those answers when it offers their services to the public in 2014. It will be a huge investment because most of the wireless back ends or the mobile towers that provide signal to phone companies are operated and owned by Smart’s subsidiary PLDT. And PLDT is putting up a fight even in pockets of areas where San Miguel is testing out the waters. Just in July, PLDT tried to block San Miguel’s Wi-Tribe in setting up telecommunication facilities saying it is an “unnecessary duplication of facilities”. Wi-Tribe will not be the brand San Miguel intends to launch so speculation is up whether the Beer giant will tap to some of its telecommunications portfolio like Bell Telecommunications, Liberty Telecommunications or Vega Telecommunications. San Miguel is determined to enter the scene but consumers want better services and more affordable rates since the country is the lowest in terms of smartphone penetration this year according to Nielsen. Something all of the wireless mobile phone players should take seriously if it wants to be taken seriously by a growing market of Smartphone users.